Despite trading at-or-near single digit price to earnings multiples, professional money managers are battling to get excited about short-term prospects for either African Rainbow Minerals (ARM) or Exxaro Resources. Over the last 12 months, ARM has fallen back 20% while Exxaro has dropped around 15% despite both owning quality assets in the South African resource space and having a track record of delivering solid profits. As it presently stands, ARM trades on a forward price to earnings multiple of around 9 and offers a dividend yield of 3.7%. Exxaro is trading on a forward multiple of 9.7 and offers a dividend yield of 4% suggesting there is not much to choose between the two stocks. With both counters having now reported financial results, SBG Securities has updated its call on both businesses and suggested there are not many reasons for investors to get excited about either business in the near-term with both being rated as “holds”. 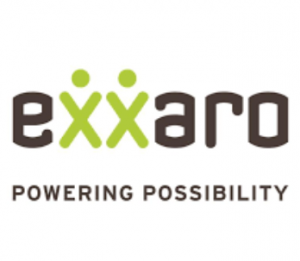 The 12-month price target for ARM was R200 and R160 for Exxaro. These calls are broadly in line with industry-wide analyst polls. The median 12-month price target forecast for ARM is R208 and R150 on Exxaro according to forecast data provided by Thomson Reuters. With ARM trading at R163 and Exxaro at R137 per share, this suggests there is some upside but as SBG points out, both businesses require something to help spark interest in the share price. While ARM is its preferred counter in the sector because of its diverse asset base, SBG says there are three core areas it will be watching with interest. These are the copper and PCB Coal divisions as well as movements in the iron ore price. In the case of Exxaro, the iron ore price is going to be main area of focus and, with recent economic data out of China suggesting a further slow-down in the global economy, this suggests that there is potential for more weakness in both share prices. While the market may be getting excited about new stimulus measures from China, Ole Hansen, who runs the commodities portfolio for Saxo Bank, recently made an interesting observation that futures contracts for copper had turned “net-short” for the first time in 20 weeks. With the copper price being a good proxy for the health of the global economy, this suggests that enthusiasm for other base metals may remain muted. The Bloomberg Commodity Index has slumped to a five-year low on a resurgent US dollar, as market participants believe that the currency will continue to rise ahead of forecast interest rate increases. For now, the prevailing view appears to be that both shares offer long-term value potential but until the iron price plays ball, both are likely to see subdued share prices.